Antony Gray - ACT's Operations Director began a new chapter of his life this weekend with the celebration of his wedding to his beautiful wife Katie Gray. To follow with the Gray's new adventure, ACT are developing a new chapter of their business with the development of the MYStore. The MyStore is designed to be a unique and individual store to all ACT customers. With brands such as FORMAT Tools, Tungaloy and Sandvik involved - the development will be 24 hour access store to all of your favourite cutting tools and tooling accessories. Abrasives, cutting tools, oil & lubricants, PPE, packaging are just some of the many items to be sold on the MYStore. Stay tuned throughout 2018 to find out more. 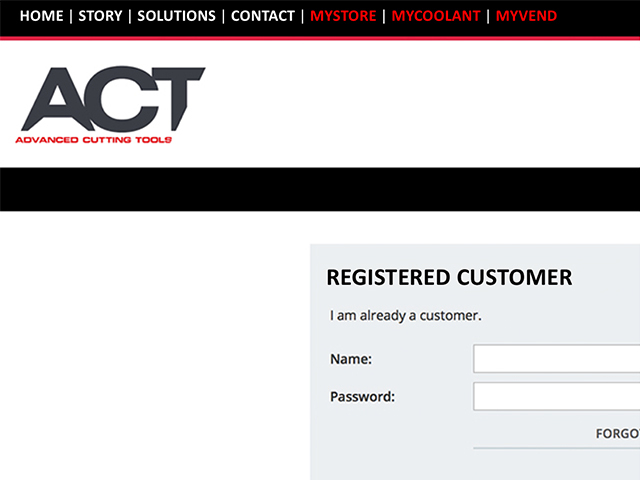 MyStore - Coming soon to ACT.